Mick Clarke can remember the day that his life was changed was forevermore. He was fifteen years old, and living in London, England. That was when he heard Eric Clapton for the first time. It was a life changing experience for Mick Clarke. Since that day, he has dedicated himself to the blues, and nowadays, Mick Clarke is, without doubt, one of Britain’s top blues guitarists. His career began back in the late sixties. That was when Mick Clarke first came to prominence as part of the British blues explosion. 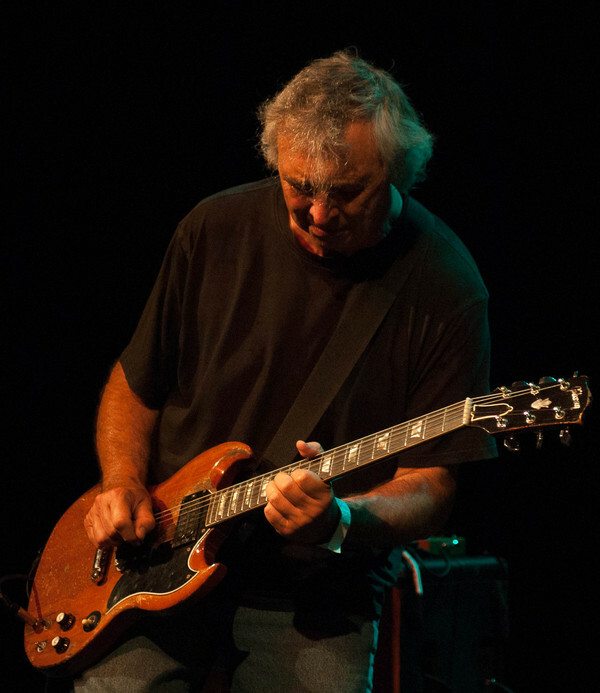 Mick Clarke was a member of the blues rock band, Killing Floor, who were formed in 1968. Before long, the band were a familiar face on the London music scene. So much so, that by 1969, Killing Floor had released their eponymous debut album. It was well received by the music press. By then, Killing Floor were rubbing shoulders with some of the great and good of the blues. This included blues guitarists Freddie King, Howlin’ Wolf and piano player Otis Spann. Although they were no longer as popular as they had once been in their home country, they were still popular draws in Britain. So opening for these artists was a prized booking. Killing Floor were chosen to open for Freddie King, Howlin’ Wolf and Otis Spann when they toured Britain. This boosted their profile as the British blues explosion continued. In 1970, Killing Floor returned with their sophomore album Out Of Uranus. It proved to the last album Killing Floor released for thirty-four years. The band split-up in the early seventies. 2004 marked the return of Killing Floor with a new album Zero Tolerance. Then in 2012, the four original members of the band get back together and released a new album Rock’n’Roll Gone Mad. Killing Floor also returned to playing live when they played at the Sweden Rock Festival 2012. However, much had happened to Mick Clarke in the intervening years. By the mid-seventies, Mick Clarke had cofounded a new band, Salt. Just like Killing Floor, Salt was an impressive and powerful blues rock band. They quickly became popular on the London music scene. Soon, Salt were familiar faces at some of the city’s top venues. This included the Marquee, where some of the biggest bands of seventies took to stage. Salt looked like they were one of the rising stars of the London music scene. Especially when Salt played at the Reading Festival. They also opened for Muddy Waters when the veteran bluesman played at two major London concerts. Sadly, Salt never got round to recording an album, and by the late-seventies went their separate ways. Since then, Salt there’s been several reunions, with the band heading out on tour. To celebrate their reunion in 2011, Salt released The Cobra’s Melody And Other Refrains as a limited edition CD. Sadly, that was the only album Salt released. However, it wasn’t long until the Mick Clark Band was born. His career continued apace in the early eighties, when Mick Clark decided to form a new band. This time, he was would lend his name to the band that he would lead, the Mick Clarke Band. It featured Mick Clarke, Ian Ellis and Ron Berg. Soon, the blues rockers were ready to release their debut album. This was Looking For Trouble, which was released in 1984. It was well received by critics and marked the start of a new chapter in Mick Clarke’s career. A year later, the Mick Clarke Band returned with their sophomore album Rock Me in 1985. Mick Clarke seemed to be enjoying the new trio. They were a popular live draw and transferred their live sound onto their first two albums. This continued with All These Blues in 1987, a blistering album of electric blues that received praise and plaudits. It seemed that the Mick Clarke Band could do no wrong. The Mick Clarke Band were on a roll. This continued with the release of Steel And Fire in 1989. Twenty years after Mick Clarke made recording debut on Killing Floor’s eponymous debut album, he was one of the elder statesman of the British blues. He was still playing the music that changed his life as a nine-year old. That would never change. It was Mick Clarke’s raison d’être. Two years later, the Mick Clarke Band returned with their fifth album Tell The Truth in 1991. Connoisseurs of British blues considered Tell The Truth one of the Mick Clarke Band’s finest hours. The band was maturing like a fine wine. Another two years passed and the Mick Clarke Band returned with No Compromise in 1993. By now, the Mick Clarke Band were regarded as one of the finest purveyors of blues rock. The Mick Clarke Band’s albums sold well and they were still a popular draw on the live circuit. Life was good for the members of The Mick Clarke Band. In 1997, the Mick Clarke Band returned with their seventh album Roll Again. Despite winning over critics and music fans, the Mick Clarke Band didn’t Roll Again. The album proved to be their swan-song. Mick Clarke and Lou Martin. Later in 1997, Mick Clarke and Lou Martin released an album they had been collaborating on, Happy Home. The two musicians were lifelong friends, and first played together in Killing Floor. After the demise of Killing Floor, Lou Martin hooked up with legendary Irish guitarist Rory Gallagher. Through the seventies, eighties and into the early nineties, Lou Martin was part of Rory Gallagher’s band. He played on some of Rory Gallagher’s greatest album including Tattoo, Blue Print and Calling Card. However, when the Mick Clarke Band were looking for a pianist, Lou Martin was the go-to-guy. If his schedule permitted, he joined his old friend in the studio. Lou Martin played on Looking For Trouble, Rock Me, Tell The Truth and Roll Again. However, the two friends had never recorded an album as a duo. That was until Mick Clarke and Lou Martin recorded Happy Hours. It was released in 1997 and saw the two friends showcase their considerable skills on twelve tracks. Alas, it was a one-off collaboration. However, the two men would later be reunited when Killing Floor returned to the studio in 2004. Killing Floor released a new album Zero Tolerance in 2004. Then in 2012, the four original members of the band got back together and released a new album Rock’n’Roll Gone Mad. Sadly, Lou Martin passed away on 17th of August 2012 in Bournemouth, England. Mick Clarke had known Lou Martin over forty years. He lost an old and dear friend, while music lost a truly talented musician. By the time of Lou Martin’s death in 2012, Mick Clarke was also enjoying a solo career. He had recorded Solid Ground at The Moat, in London during 2007. During the sessions, Mick Clarke lead a tight, talented quartet as they recorded an album of blistering blues rock. It was released later in 2007 as Solid Ground. Six years later, Mick Clarke returned with Ramdango. 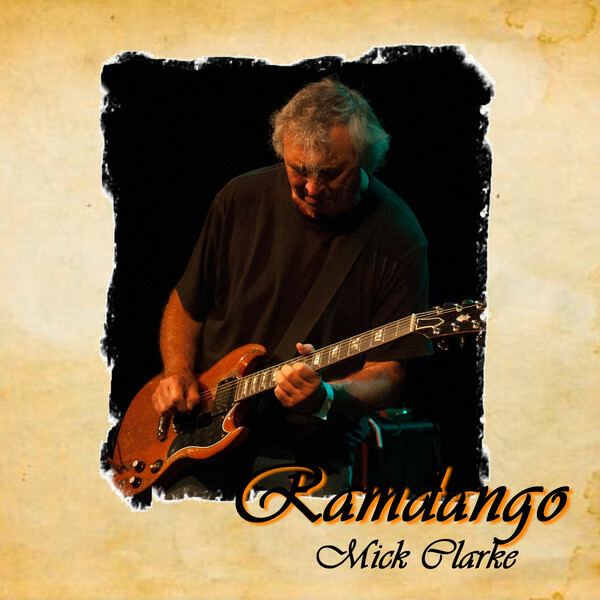 Unlike Solid Ground, Mick Clarke wasn’t accompanied by a band on Ramdango. Having written the thirteen songs on Ramdango, Mick Clarke headed into his Fabulous Rockford Studio, deep in the leafy Surrey countryside. As he walked through the door to the Fabulous Rockford Studio, Mick Clarke was transformed. It was akin to Clark Kent becoming Superman. In the studio, Mick Clarke revealed his hidden talents. He wasn’t just one of Britain’s top blues’ guitarists. Instead, Mick Clarke was a talented multi-instrumentalist, who was about to engineer and produce Ramdango. Mick Clark was determined to use real instruments. He wasn’t going to resort to programming drum parts. Nor was he willing to use pre-recorded sounds. Instead, Mick Clarke became a one man rhythm section, playing bass and drums, plus guitars, keyboards and percussion. Gradually, the album began to take shape. Eventually, had succeeded in his mission to record Ramdango using real instruments. Only very occasionally did Mick Clarke have to trigger a snare drum or cymbal crash. It was a remarkable achievement. Mind you, Mick Clarke was a vastly experienced musician. He made his recording debut in 1969, so had forty-four years experience behind him. This critics said he had put to good use on Ramdango, which is a Scottish word for a party. Mick Clarke’s soundtrack to Ramdango was released to critical acclaim. A year later, and Mick Clarke was back with the followup to Ramdango, Crazy Blues. Just like his previous album, it was all his own work. Mick Clarke had written ten of the twelve tracks, and recorded Crazy Blues at his Fabulous Rockfold Studio, in Surrey, England. Carrying his newly purchased Epiphone 335 guitar, Mick Clarke returned to his Fabulous Rockfold Studio. That was where the twelve tracks that became Crazy Blues were recorded. Despite the credits showing the album as being recorded by Mick Clarke and the Rockfold Rhythm Section, that isn’t the case. Again, Mick Clarke plays all the instruments on the album. The only other musician who played on Crazy Blues was Linda Cooper, who played maracas. Apart from that, Crazy Blues was the work of just Mick Clarke. Again, critical acclaim accompanied the release of Crazy Blues. It was another album of blues rock where Mick Clarke makes presence felt from the get-go on what’s a memorable album of blues rock. Just like on Ramdango, one Britain’s greatest bluesman Mick Clarke, he continues to roll back the years. 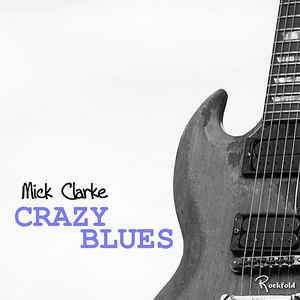 Crazy Blues was the second critically acclaimed album Mick Clarke had released in two years. Both won over critics and blues aficionados. However, for the third album in this trilogy of Mick Clarke’s recent self-produced solo albums, he decides to stray from the road marked blues rock. Just like his two previous albums, Mick Clarke wrote the thirteen songs on Shake It Up! He would take charge of engineering and production when he returned to his Fabulous Rockfold Studio. Multi-instrumentalist Mick Clarke played all the instruments on Shake It Up! Essentially, the album picked up where left off on Crazy Blues. However, Mick Clarke decided to change direction on a couple of tracks, and even paid homage to two veteran American bluesmen. Shake It Up! was Mick Clarke’s most eclectic album. That was apparent throughout Shake It Up! When it was released in 2015, critics hailed the album as one of the best albums Mick Clarke had recorded in recent years. It was also critics agreed, Mick’s most eclectic album. He heads in the direction of funk rock and draws inspiration from Robert Cray and Albert King as he seeks to reinvent his music. However, for much of Shake It Up! it’s akin to listening to a musical master craftsman at work. 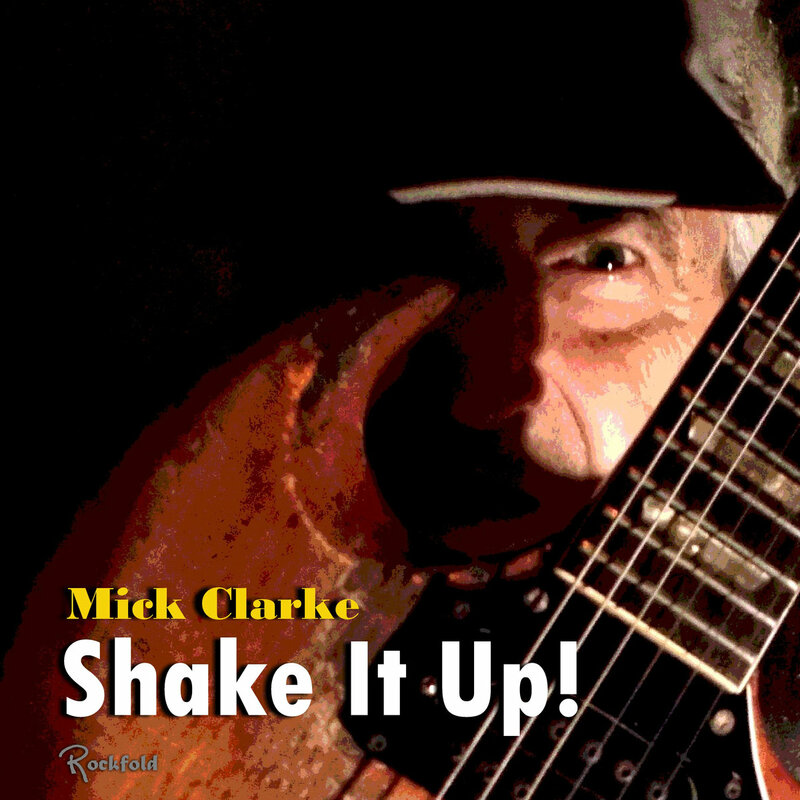 Mick Clarke, whose one of the best British blues guitarist of his generation, puts all of his years of experience to good use on Shake It Up! In doing so, he creates his own inimitable brand of blues rock which Mick Clarke has spent a lifetime perfecting. After six decades, Mick Clarke was the musical equivalent of a master craftsman. He had dedicated himself to the blues. This had paid off, and by the time Shake It Up! was released in 2015, Mick Clarke was without doubt, one of the greatest blues guitarists of his generation. He’s also a talented multi-instrumentalist, who engineered and produced Ramdango, Crazy Blues and Shake It Up! This trilogy of albums is the perfect introduction to Mick Clarke’s solo years, and showcases one of the most talented British bluesmen of his generation. However, Mick Clarke is also one of the most underrated British bluesmen. Sadly, Mick Clarke has never enjoyed the high-profile that many of his contemporaries. He and his music have gone under the radar of many music fans. Just like JJ Cale was, Mick Clarke is a musician’s musician. That is why may high-profile artists, including Doris Troy, Jeff Beck, Deep Purple’s Jon Lord and Jon Entwistle have brought Mick Clarke onboard to work on projects. However, it’s not just musicians who appreciate Mick Clarke’s music. Mick Clarke has also a loyal fan-base in Britain, Europe and America. His albums sell well and he’s a popular live draw wherever he’s played. Recently, Mick Clarke had played live in India and Bosnia where a new audience discovered the British bluesman’s music. Still, though, there many people who haven’t discovered Mick Clarke’s music. He’s still one of British blues’ best kept secret but maybe for not longer if he continues to release albums of the quality Ramdango, Crazy Blues, Shake It Up! and his latest album Diggin’ Down. Tagged: Crazy Blues, Killing Floor, Mick Clarke, Mick Clarke and Lou Martin, Mick Clarke Band, Ramdango, Salt, Shake It Up! ← THE STORY OF ZEPHYR: ONE OF THE BEST BANDS YOU’VE NEVER HEARD. Derek, Thank you for the very nice article. Mick lived in Portland, OR for a few months in the 80s. With him was Rod d’eath (drummer with Rory Gallagher). Mick was a big hit and recorded a self released album here. “West Coast Connection” featuring Rod, Dover Weinberg (now with Robt Cray) and one excellent cut with Curtis Salgado. There was a great photo shoot and, typically, the color negatives were lost or damaged. A quick B&W re-shoot took place and the cover had the look of the “generic” fad that was happening at that time. Mick and Linda were most personable and I recall attending a video shoot at Mt. Hood Community College for public access TV. I never saw the finished video. Mick made life long friends with Terry Currier the owner of Music Millennium, one of the iconic record stores in the world. Terry also ran Burnside Records that released a couple of Mick’s CDs. I loved hanging with Rod and hearing the road stories of his time with Rory. Unfortunately Rod was a drinker and it seemed to hold him back. Mick played tons of local gigs and was welcome to sit in with any of the resident blues bands. One of the highlights of my attending the Waterfront Blues Festival in Portland for over 30 years was a set Mick played. He was super professional, came on the outdoor stage firing on all cylinders and blew us away. Also, that afternoon Kim Simmonds played with one of his Savoy Brown iterations. A good breeze was coming off the river and Kim’s long hair was blowing in the wind and the wind was phasing his soaring guitar licks. To see Mick and Kim on the same afternoon when they were playing at their best is a moment I always cherish. I’m anxious to check out Mick’s new release.